Should you hire a private criminal defense attorney, use public defense, or represent yourself? Here are tips for deciding what to do about representation. If you have never been in trouble before this thought can be paralyzing and stressful, as most people in this position likely don’t have a criminal defense attorney on speed dial. When charged with a criminal offense, there are three options to go about handling the representation for your case: 1) you can represent yourself, 2) apply for a public defender, or 3) hire a private criminal defense attorney. Despite what some attorneys may tell you, each of these options have some pros and cons. As for the first option, representing yourself, or what’s called “going pro se,” means you are going to choose to not have an attorney help you out with your case. Instead, you would be acting as your own lawyer, in addition to your role as the Defendant in the case. 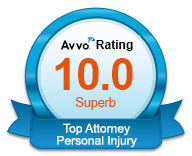 The biggest plus to representing yourself is that you do not have to spend any money on an attorney. The other plus is that you can feel in complete control of your case because you are in control; there is no one else there to advise you. You are the one that has to prepare your case and carry it through from beginning to end, just as a criminal defense attorney would. You can spend as much or as little time on it as you want, and at the end, you can’t blame (or compliment) anyone but yourself for the results. The disadvantages of representing yourself are also clear – you don’t know the law! There’s a reason why attorneys get paid to do what they do. They have gone to law school, are generally well-versed on the ins and outs of the courtroom, know what documents need to be filed and how to handle conversations and negotiations with the prosecutor. Just because someone decides to go pro se, doesn’t mean the judge is going to give them a pass on how things should be handled in the courtroom. Those who represent themselves are held to the same standards as attorneys, and without experience, trying to handle a case like an attorney is a daunting task. 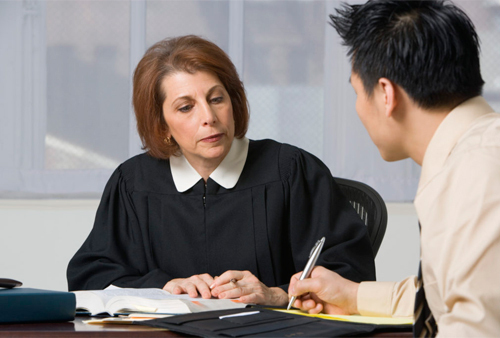 The second option on a case is to try to be appointed a public defender by the court to help you with your case. This will not be an option for everyone, as the judge will inquire about your financial situation before deciding if you are indigent, and thereby entitled to an attorney at public expense. If you make too much money, you will not be given a public defender. 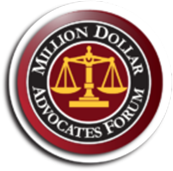 If you do qualify, the number one advantage is that you get an attorney for free, or at a very low cost. Some people bash public defenders by saying that they’re not true attorneys and are “public pretenders.” I’m not going to do that. Public defenders are just like other attorneys in that some are great, some are OK, and some are not so good. Some will care about your case, and some won’t. Public defenders are in the court that they’re assigned to on a daily basis and therefore they know the court, the prosecutor, and the judges well. The one big thing that public defenders have working against them is their caseload volume. They simply have a lot of cases, and often don’t have the time to devote to each case that a private attorney would. Additionally, they often aren’t able to help with all facets of a case. For instance, if you have a DUI charge, they will not handle your Department of Licensing Hearing as part of your case because it’s not technically a criminal law issue. Also, you may find that public defenders are tougher to get ahold of and get answers from. You often have to schedule an appointment week in advance to get in and speak to your lawyer. A public defender is a great option for some, and the only option for others as even if they wanted to, they couldn’t afford to hire a private attorney. If you do have some discretionary funds to hire an attorney, you just want to take all of this into consideration before deciding how to handle the representation on your case. The third option available to those charged is hiring a private criminal defense attorney. It should be obvious, but the biggest minus to this option is that we cost money. You have to pay out of pocket for criminal defense services just like you would for most services out there. People also have a misconception that when they hire a private attorney, that the private attorney will be able to get them whatever they want because after all, they are paying for their services. This is not true. Private attorneys cannot and should not guarantee results. Also, just like with public defenders, not all private attorneys are created equal. There are attorneys who are certainly worth the money and there are other attorneys who won’t give your case the necessary attention to get a positive result for you. 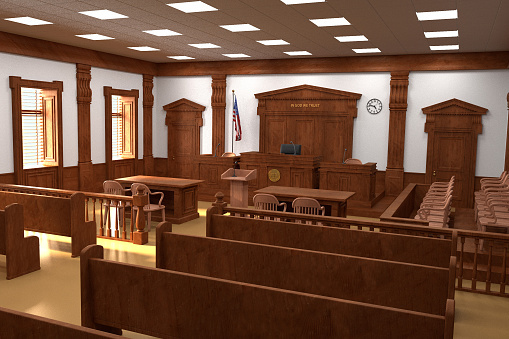 Generally speaking, however, private criminal defense attorneys do not have as big of a caseload as public defenders, and therefore they can put in the necessary time to position your case for a positive outcome. 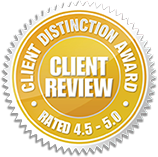 Finally, private attorneys generally have more at stake in getting results in your case. They are paid to represent you and therefore they have a personal interest in getting you the best possible result. Private attorneys are able to handle all parts of a criminal case, and maybe even the civil side as well. Also, private attorneys are generally more responsive and have more time available to walk a client through the process and ensure that the client understands what is happening at every phase of the process. If you’re charged with a crime, take some time and consider all of these avenues and the options available to you. Even though we are private attorneys in Everett, we will be happy to discuss these options further with you and give you a free consultation about your specific case.